At first I couldn’t tell if I was just clinging on to the dark hues of winter, but then I realized it was the contrast of matte black with bright white and spring colors that was really drawing me in. 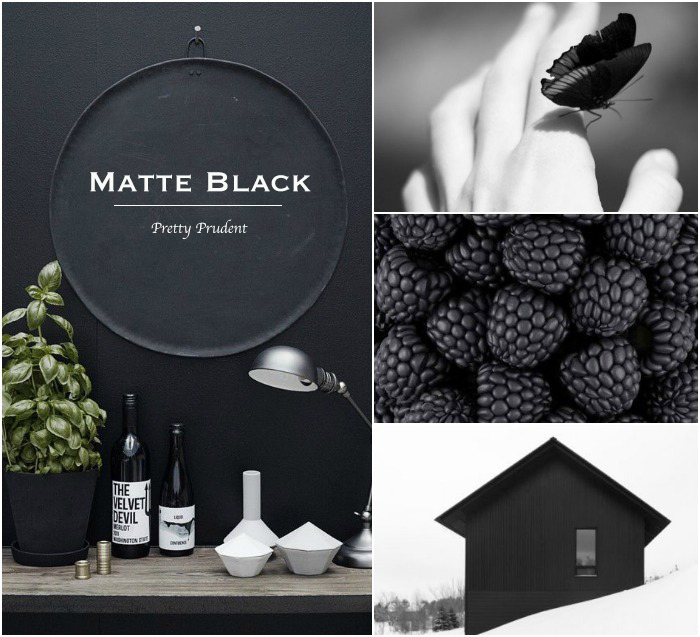 The thing I like most about matte black is that it perfectly melds together the aged look of rustic decor, with the clean finish usually associated with modern decor. I’m not quite ready to go all glossy and modern, so this is a happy medium. Consider picking up an accessory or two and notice how it can easily bring new life to your space and style. Serve up a refreshing drink in the handmade Serpentinite Carafe from Anthropologie. Quinn and Fox showcases artists from around the world with great items in their shop like the Messy Hair Don’t Care Tee. Also, if you don’t follow them on Instagram yet, I highly suggest you do. It might be almost 90 degrees here but I can’t resist this chunky yarn from Loopy Mango. I’m drooling over this kettle from Jasper Morrison. Curl up in the prettiest Italian Canopy Bed from Anthropologie. Add a few of these cups from Rare Device to the mix. Use this matte finish topcoat from butter LONDON to dull down the gloss of your black polish. Perfect the smokey eye with the Photo Op Eye Shadow Trio from Smashbox. West Elm is even bringing in a bit of matte black with their mid-century console and table lamp. Be inspired to create a minimal dining room like this one by Norm CPH. Light up your patio with black edison sconces from Lamps Plus. Set the table with this amazing matte black place setting from One Kings Lane.